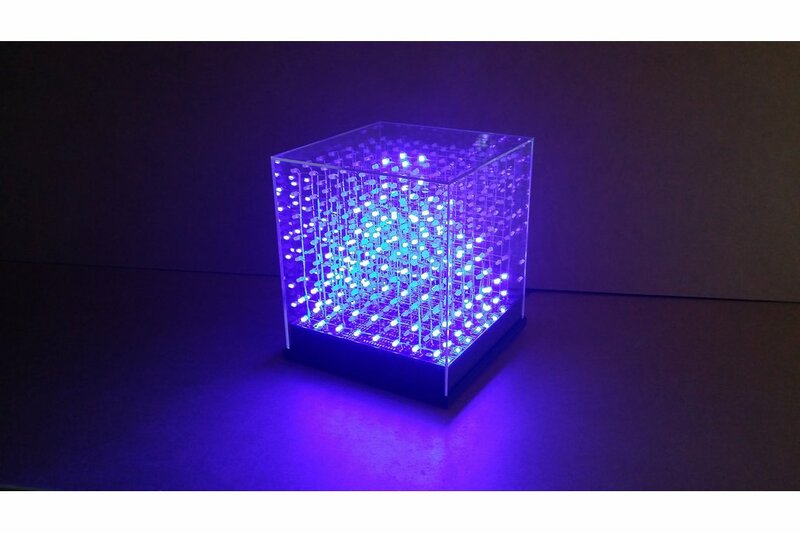 jolliFactory have designed a single color 8x8x8 LED Cube aptly named jolliCube. It is designed for entry level hobbyist who wants to take on the challenge to build a bigger cube rather than settle for a 4x4x4 or 5x5x5 LED cube. 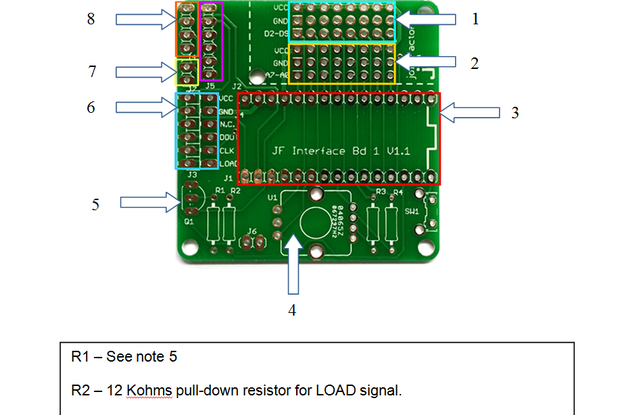 The electronic circuit for jolliCube is based on the MAX7219 ICs to drive the cube. 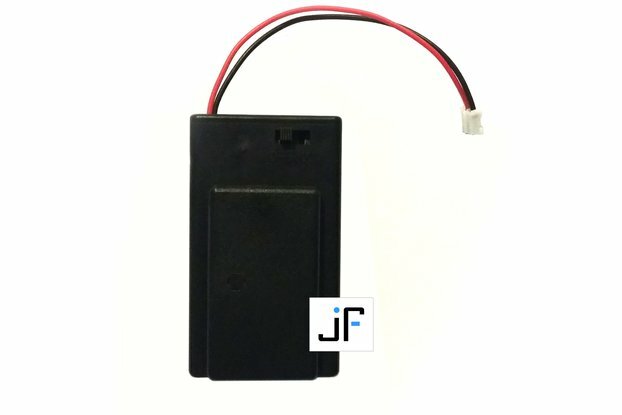 This IC is originally designed to drive 7-segment LED displays. By designing our circuit based on this IC, the number of components to drive each 8x8 LED Matrix layer is very minimal. 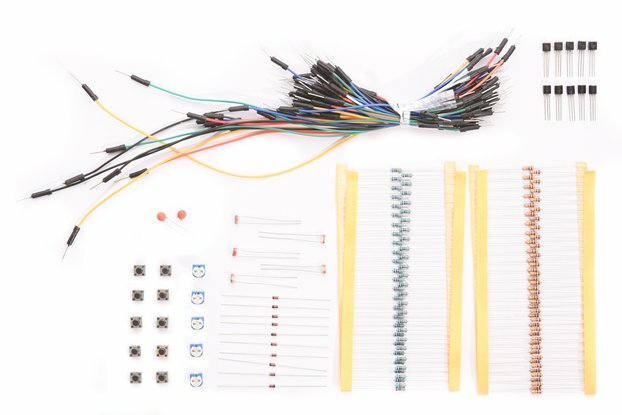 It is designed to be modular in the sense that each of the eight 8x8 LED Matrix layers can work by themselves which makes troubleshooting easy. Our design does not have any particular microcontroller embedded in our electronic circuit to drive the cube. 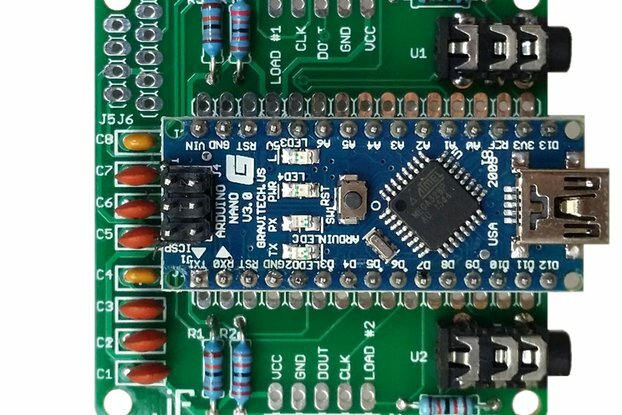 It can be driven externally by any microcontroller via SPI interface using just 3 signal wires (SPI) and 2 power wires (5 V DC). Thanks for this DIY Kit. It was fun assembling the led cube. It looks great with a uniform jig. Thank you also for the extra led. All led seems to work properly. Neat project. 1st time i've bought it 1 year ago. but 1st pancake is bad. this time i have enough time to make the cube as perfect as possible. a bit disappointed by wood form, but i guess it's ugly only because of weight limitation. Exercise caution if ordering from Canada; my package was ordered on May 25th but did not arrive until July 12th. This is not the fault of Tindie or the vendor; it is simply the reality of shipping overseas, customs delays, etc. Thanks for very fast shipping. It is a very good product. Very good documentation in the web site. -Le temps de livraison est tres rapide part avion moins d'une semaine. -L'embalage est parfait mais pour le montage il pourrait rajouter un peux plus de fils. 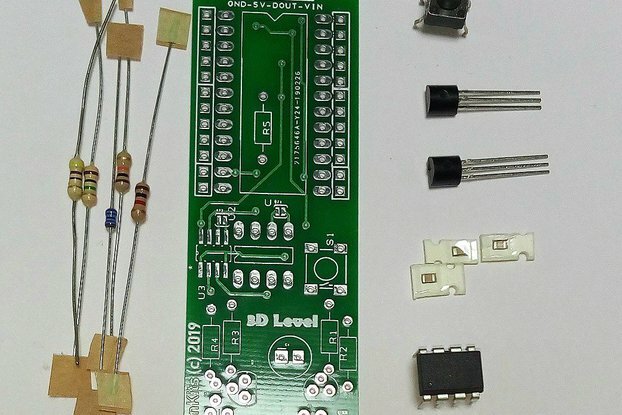 -Pour l'assemblage tres bien explique mais manque de petite precision sur le sens d'installation du panneaux de LED sur la plaque electronique (si erreure tous s'affiche a l'envers), attention a bien suivre le sens des fleches pour la connection 5 pin, et installer toute les puces meme pour les essais. Arrived today, PC board looks great and parts are all there, looking foreword to assembling it. So far great item. Will post a photo later. Nice product, easy to setup..add-on part a little subpar. Sorry for the late reply and the quality issue you face with the LEDs. We were quite shocked to learn that more than 10% of the LEDs in your kit set were found to be bad out of the bag and that you received only 520 LEDs instead of the stated 540 LEDs. Our usual practice for this kit is to pack the LEDs in 2 separate packs. One contains 500 LEDs which is machine counted and packed and another is manually packed with 50 LEDs. 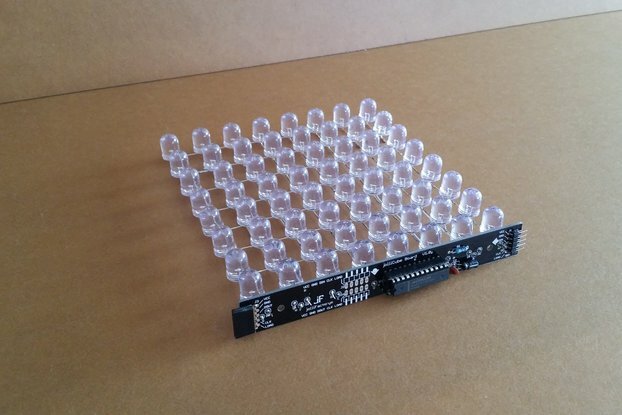 This gives a total of 550 instead of the 540 LEDs as stated. The LED cube requires only 512 LEDs and the additional 38 LEDs should normally be sufficient for replacements. We carried out sample checks on our current LED stock and did not find any quality issues with them. We thought we could have a batch of bad LED stock and so we waited to see if there are more similar feedbacks from other buyers. 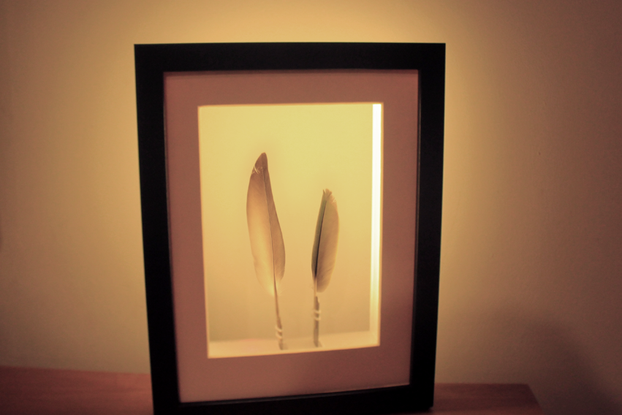 It has been almost 2 months and so far, we did not receive any feedbacks regarding LED quality issues. We hoped it is an isolated case of bad LED quality. Currently, we only source our LEDs from one vendor. We will not hesitate to look for other vendors if we discover there are quality issues with their supply. Hope you like the LED cube and we are sorry once again for the bad experience you had with regards to the LED quality issue. Have the kit in hand within 2 business days. Clean and professional packaging. Seller very responsive. With a fast delivery, a very good packaging, I have received my order in a quite fast time and without damages. I can only recommend this vendor so far! Hi, i love jolly cube i still haven't received item, but i'd like buy its acrylic enclosure, i have not found anywhere ,let alone in your site. Thanks for your your interest in our LED cube. Currently, we do not sell the enclosure and do not intend to sell it in the near future. You may build one yourself if you are a handy man or have it custom made which may be quite costly. We will let you know where to purchase one if we are able to find it. Asking MORE effects for Jolly Cube. I am just a hobbiest of led cube. My first cube is 4x4x4 with arduino. I like using arduino IDE because of easily unstandable programmer. But my knowledge is very limitted to writing codes with C or any other languages. This time i try with 3d8 cube with jolly's kit. I do assembly myself and tested yesterday with your demo code. Amazing! I went through all instructed steps during assembling time. Very convenient to finished the job , ofcourse take time abit. 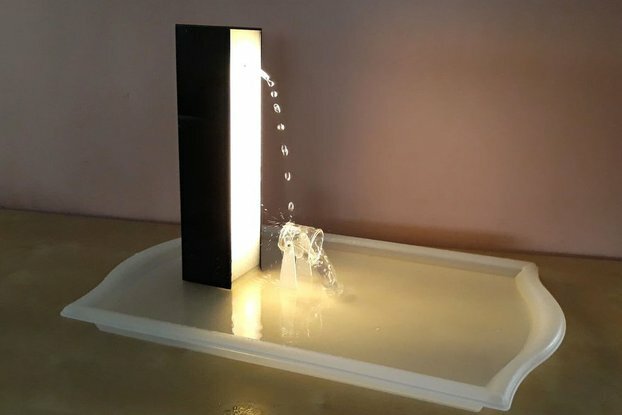 I need to request you to create more EFFECTS for your cube and distribute from Instructable. BTW, you can get the return from the user for your sharing, teaching and generousity with millions thank. Thanks for taking time to write this review. It gives us a great sense of satisfaction to know buyers are happy with our products. We hope your review will encourage hobbyist to take the plunge and build this 8x8x8 LED cube though it may look like a difficult project to handle. We will try to update with more effects for this cube in the near future. I had no trouble following the instructions, the videos really helped understand exactly what to do. The only thing I had to put some thought into was making Jig#4. I have no drill stand, so I opted to carefully mark out an 8x8 grid with a very sharp pencil, steel ruler and set square, this worked out well with good accuracy achieved. I then drilled the holes with a battery drill, first with a small pilot drill, then with the 3mm drill. I found it hard to drill holes absolutely vertically, resulting in the leds not quite being vertical, but when viewing the cube running, this is not noticeable. I also successfully ported the code to run on a Particle Spark Core, so I can wirelessly control the cube. 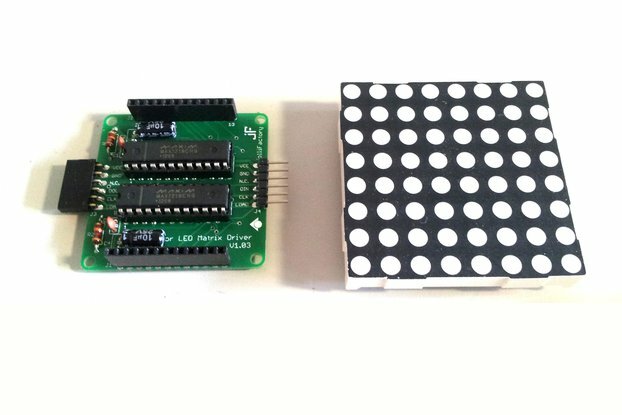 Glad you managed to successfully complete the LED Cube and even ported the code to run on a Particle Spark Core. We may offer jig#4 as an option for purchase in future for those who may not have the means to build one themselves or do not want to take the trouble to build it. I bought this kit so I could build an LED cube. This is my first cube and I like the fact that its basically built and ready to go. 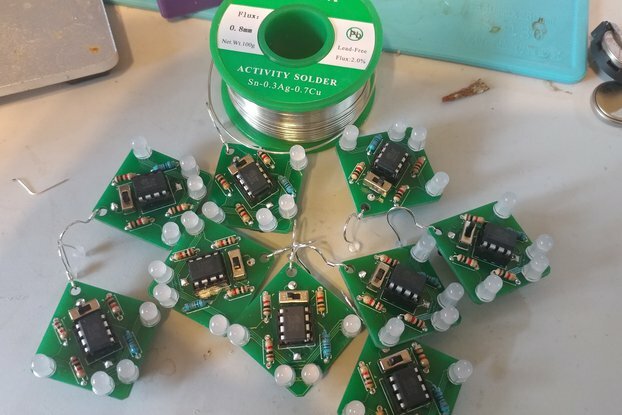 A little bit of soldering is needed (and obviously you have to build the LED cube), but other than that its a great product. 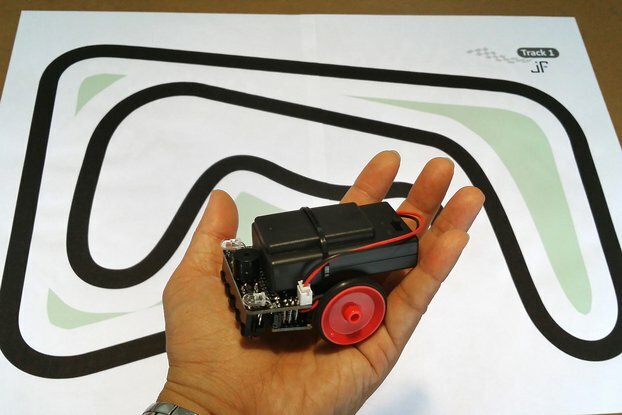 I would like my next one to be built from the ground up so that I can better understand how everything works, but the instructable for this does a good job of that. Overall, I am happy. Thanks for taking the time to review our jolliCube 8x8x8 LED Cube kit. Glad you are happy making your first cube. Hope your review will encourage potential first time LED Cube builder to take up the challenge to build an 8x8x8 LED Cube instead of building a small LED Cube for a first cube. everything works as expected. great graphics . Thanks for taking the time to review our jolliCube 8x8x8 LED Cube kit. Glad you like it.